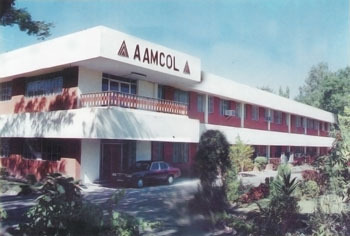 Jainex Aamcol is a leading manufacturer of gear hobs and special cutting tools, inspection tools & precision accessories under the brand “Aamcol” and is a part of Jainex Group. Jainex Group is a conglomerate with offices in all the leading cities of India and representative offices in USA, UK and Hongkong. Jainex Group deals with steel, gear cutting tools, pneumatic brake systems for railways, and has a turnover of US$ 20 million. The company has been catering to a wide range of customers including automobile industries, industrial and special gearbox manufacturers, machine tool manufacturers and many others. By producing international quality products, the company has not only saved country's foreign exchange but also generated it by exporting its products. Continuous research and development has enabled Jainex Aamcol to bring many new, high productive and accurate tools to the market. The company has added many new facilities such as computer systems, machinery and equipments that are latest in the field, to keep itself ahead.